After a self-induced “on the brakes” crash, caused by a series of rider errors and unfamiliarity with the bike I was on, I was suffering from an unwillingness to execute a quick speed reduction. Attending two back to back track days was my opportunity to work through the demons I had developed. As it turned out, one of the biggest things to learn was a deeper understanding of the braking sequence and what is actually happening when you are trying to brake at speed. On the street, I frequently use engine braking to set speeds. This was translating into a poor understanding of proper braking in a track setting. Being prone to over use of engine braking, I was executing the braking sequence improperly, which is partially what led to the aforementioned crash. After a day of simply riding at a very slow, very comfortable pace, I decided to work with one of the instructors who I had worked with in the past. He patiently listened to my concerns and issues, took in what I was worried about, what I was working on and then broke things down into exactly what I needed to hear, with a plan of baby steps to build off of as my confidence grew without taking on too much at once. The first thing we discussed was what the braking sequence entails. Proper track orientated braking doesn’t include engine braking. The bike is slowed by the brakes, not the engine. Your braking begins where you roll off the throttle, and there shouldn’t be a gap between roll off and braking. Downshifting happens in that time, but again, this isn’t how we are slowing the motorcycle. Roll off, apply the brakes gradually and smoothly, release the brakes gradually and smoothly as you return to the throttle. As someone who was overly concerned about downshifting and engine braking, this was precisely the information I needed to hear. Further instructions included moving up the start of my braking sequence, aka my roll off point. Moving that up would give me the chance to slowly learn to use the brakes, use them effectively and to realize just how much deeper I could go into a corner without putting myself into a situation where I would feel overwhelmed. The afternoon of my second day was spent implementing and forming an applicable understanding of what we had talked about. By the end of the day, I was back up to what felt like my old pace, but I had done so in such a way that I felt very confident in what I was doing and found a lot of room for improvement that I could slowly chip away at. Breaking down the braking sequence not only helped me understand the difference between street and track braking, but also helped me realize that the things I was concerned about really shouldn’t be concerns as those events are not the sources of speed reduction that I had been using them for. I can’t say enough good about the instructors who take the time to listen, process what you’ve said and then share information to improve in such a way that it addresses your concerns while correcting what you are doing wrong. 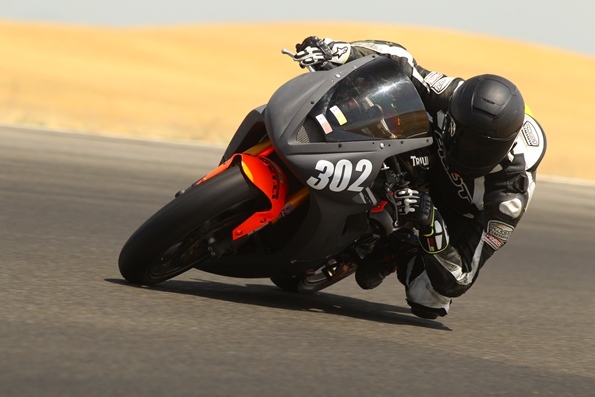 This is one of the reasons I have continued to return to Z2 Trackdays, their instructors are not only top notch riders, but they understand what it is that you, the student, need to hear and understand. My weekend was more than successful, mostly in thanks to an instructor taking the time to approach me, listen and then help me overcome my concerns and improve my performance.